After seven years, there will be a new U SPORTS women’s field hockey champion. 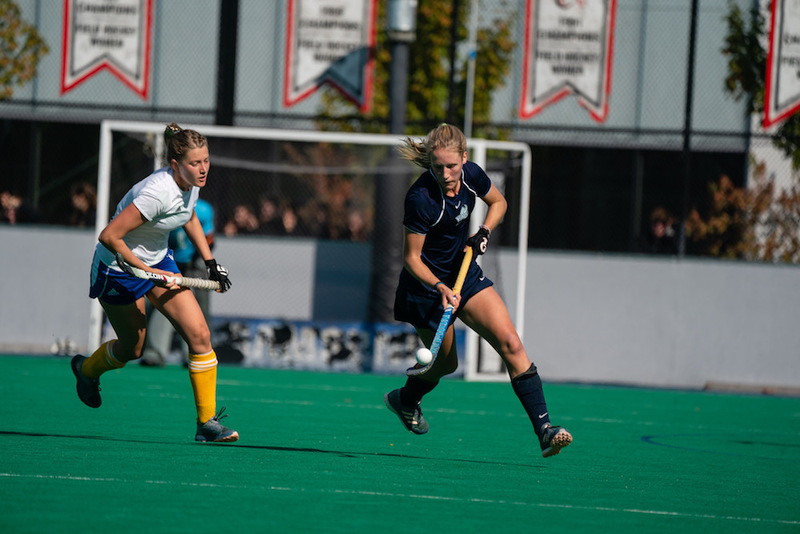 With the UBC Thunderbirds dominant run at the top coming to an end, the Canada West champion Victoria Vikes will fly east to face the OUA champion York Lions in a best-of-three series in Toronto.
? WFH | The @CanadaWest champs are off to Toronto to play a best-of-three @USPORTSca final series against @yorkulions . The Vikes are set to appear in their 34th national championship and third championship final in the last five seasons. This is the second year of the new two-team format that will pit the Lions against the Vikes in a national for the first since 1994. The teams have previously met in the final in 1994, 1989 and 1984, with Victoria winning all three of those match ups. The 11-time national champion Vikes will be on the hunt for the program’s first McCrae Cup since last hoisting it in 2008 on home soil. The storied Vikes field hockey program won six of their titles in a nine-year span (1987-1995), while all 11 banners have been under the reign of current head coach Lynne Beecroft who is in her 35th season at the helm. Krista Thompson has been with the program for 22 of those seasons as assistant coach. York will also make history as they return to the national final for the second-straight season after not making it to the championship tournament since 2007. Last season, the Lions impressed with an 11-1 record to finish as OUA champions and U SPORTS silver medallists. The Lions are still on the hunt for their first U SPORTS banner under head coach Zeeshan Minhas. Hosting the national championship for the fifth time but first since 2003, the series opens Friday at York’s Alumni Stadium, with Games 2 and 3 (if necessary), scheduled for Saturday and Sunday. Live-streaming is available on USPORTS.LIVE. Full championship schedule and previews for each team are available below. 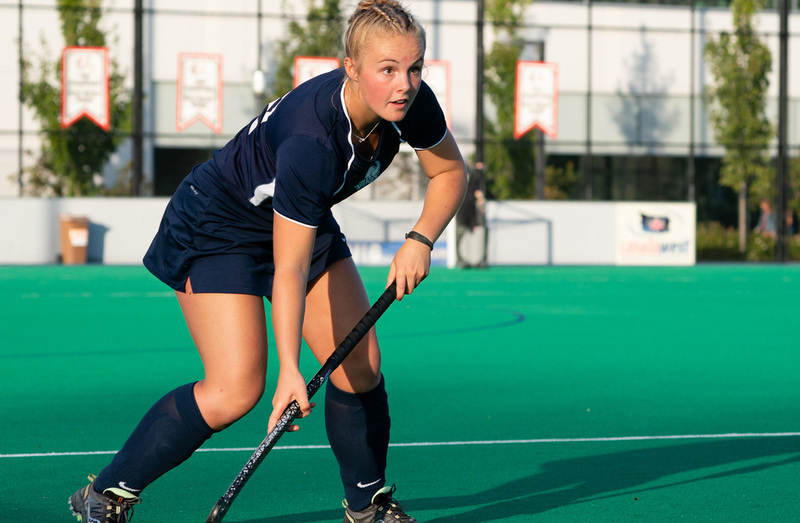 The 2018 Victoria squad is turning a new leaf for the dynasty of Vikes field hockey and that might just be due to the talent in its youth. Thirteen players of the 20-member squad are in their first or second year, and a senior class of five book end the roster. New additions Anne-Sophie Hannes, of Germany, Judy Cristante, of Victoria, Erin Dawson, of North Vancouver, and Sam McCrory, of Ontario are all rookies that have earned roles on the team’s starting lineup. Hannes was named this year’s Canada West Rookie of the Year as her exceptional possession skills and unpredictable offensive talents were on display all season. 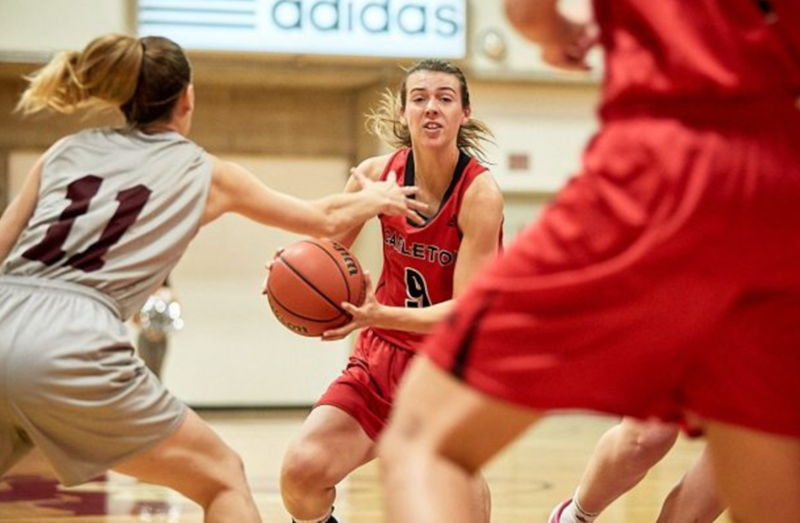 The team is led defensively by 2018 Canada West Player of the Year Anna Mollenhauer, a second year from Victoria who was also last season’s Canada West Rookie of the Year. Mollenhauer’s defensive intuition and outleting talents anchored the Vikes backfield that include second-year keeper Robin Fleming, first year Cristante, fifth year Kristina Walters-Shumka and 2016 Canada West Rookie of the Year and two-time Canada West All-Star Emily Wong. The Vikes weathered quite the season tying UBC 2-2 and 0-0 in their opening weekends of play. Dominating wins on the road in Calgary improved the Vikes’ record to four games undefeated at the end of September but a split weekend against the Thunderbirds in Victoria left the Vikes uncertain of their fate heading in to the final weekends of play. The Calgary Dinos forced a tie out of both the Thunderbirds and Vikes to leave both teams with even records (4-1-3). The Vikes had a seven-goals-for differential over the Thunderbirds and awaited the final two games of the season to learn their fate for a post-season. Two 1-0 victories were all that the Dinos would concede and the Vikes were crowned Canada West champions for the 18th time and awaited another week to learn that the best-of-three championship would be hosted at and against York who make a historic repeat back to the championship final. The Lions finished in first place in the OUA standings for the second consecutive year, this time with an undefeated 10-0-2 record. 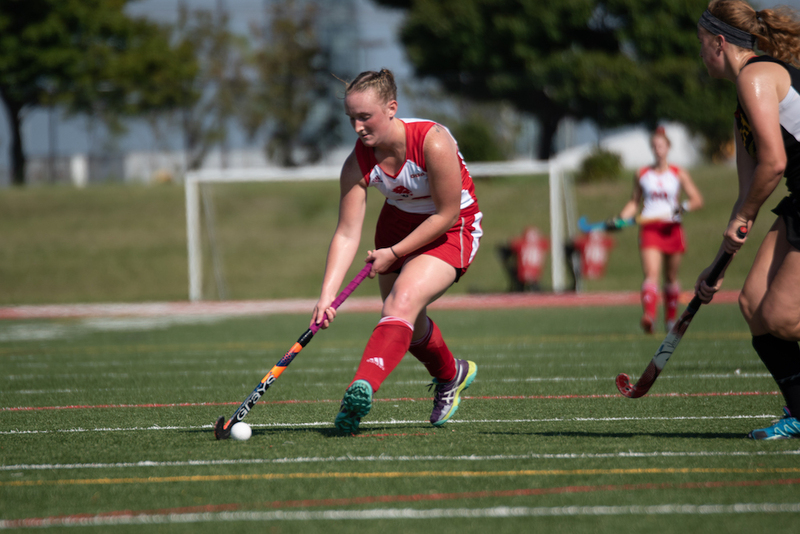 The defending OUA champions and U SPORTS silver medalists had an impressive regular season, tying for the league lead in goals scored with 46 and giving up the least amount of goals with seven in 12 games. Leading the way offensively for the Lions was sophomore Jaslan Stirling who led the OUA in goals for the second consecutive season with 22 including eight game-winning goals. A couple of rookies also had impressive seasons offensively, as forwards Chloe Walton and Amber Sandhu had six and four goals respectively. Stirling and Sandhu both named OUA all-stars this year, as was defender Sara Vollmerhausen for the first time in her five-year Lions career. Lions starting goalie Alycia Gray has also had a stellar season in the crease. The fourth-year senior has allowed only five goals on the season and has a 7-0-2 record with five shutouts. She was named York female athlete of the week for the last week of September after netting three straight shutouts over the Lions weekend games. The Lions went 3-0 in the OUA playoffs en route to their second consecutive OUA championship. York opened the tournament by thumping the McMaster Marauders 16-0 in the quarterfinals and followed that up with an 8-2 victory over the Waterloo Warriors in the semifinals. They then won the tournament in dramatic fashion beating the Guelph Gryphons by a score of 1-0. Sandhu had seven goals over the three games and Stirling had four including the game-winner in the championship match. All games at 2 p.m. ET / 11 a.m. PT, streamed at USPORTS.LIVE.